We love staying here. The room was tidy but the toilets were acting up. The hotel carpet could be replaced but the staff was wonderful. The kids loved the pool, the food was good and overall it was a great time once again. The hotel was clean and the staff was great. The continental breakfast was really good. Great location, rooms are very spacious , comfy beds and great breakfast buffet. This property was perfectly located for our trips to the nearby Walden Galleria Mall. Will definitely go back again. Brianna and Elizabeth were both fantastic in assisting with upgrading my room that had a whirlpool tub. They were very professional and courteous with very bubbly personalities, I felt very welcomed. They are a great asset to the hotel. Stay was just as expected. Room was as described and well maintained. Customer service is great and very accommodating. Very clean hotel. Breakfast had so many options especially for kids. Hotel is close to Walden Galleria Mall and local good restaurants. Everything was very close, walden galleria & Mckinley mall. The location is ideal for a shopping weekend, right across from the Walden Galleria Mall and an easy walk to several restaurants. In the heart of Depew, NY, very close to Walden Galleria, which is a super mall!!! Being so close to Walden Galleria and other shopping areas is also a bonus. The hotel is a short drive away from Walden Galleria and many restaurants. Walden Galleria Mall is located in an area of Cheektowaga known for its great live music scene. 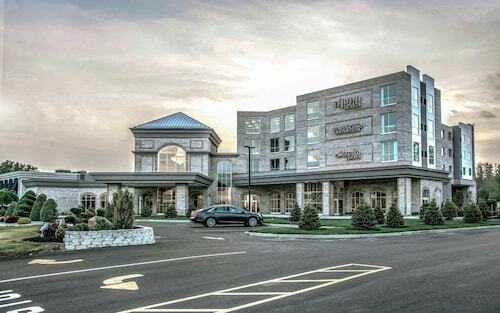 Cheektowaga is home to 26 hotels and other accommodations, so you can find something that's perfect for your stay. Millennium Buffalo: With a stay at this 3.5-star hotel, guests can enjoy access to a restaurant and an indoor pool, along with free WiFi. Our customers like its dining options and overall value. 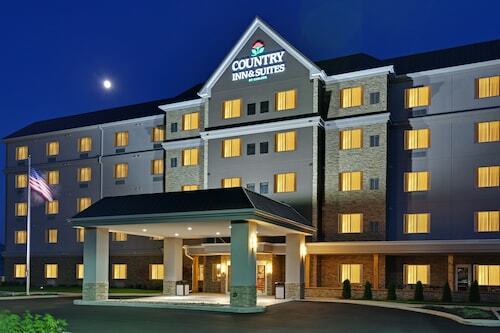 Holiday Inn Express Cheektowaga North East: With a stay at this 2.5-star hotel, guests can enjoy access to free breakfast and an indoor pool, along with free WiFi. Our customers like its overall value and proximity to shopping. Home2 Suites by Hilton Buffalo Airport / Galleria Mall: This 2.5-star hotel features free breakfast, an indoor pool, and free WiFi. Our customers like its family-friendly amenities and overall value. While you're in town visiting Walden Galleria Mall, you can explore the sights and attractions within just a few miles of the area. Buffalo Fire Historical Society, Iron Island Museum, and Buffalo Museum of Science feature a variety of fascinating exhibits to see while you're in town. Sights like Buffalo Central Terminal, Patriots and Heroes Park, and Frank Lloyd Wright's Darwin D. Martin House are must-sees while exploring the area. You can enjoy live performances at Lancaster Opera House and Paul Robeson Theater. Buffalo Zoo and Holiday Twin Rinks are some sights worth a visit in the area. You might also stop by KeyBank Center, located 6.2 mi (9.9 km) from Walden Galleria Mall, or Canalside which is 6.3 mi (10.1 km) away. Flights from Kamloops BC to McCarran Intl. Flights from Kelowna Intl. to Pierre Elliott Trudeau Intl. Flights from Stanfield Intl. to London Intl.